Many people are looking for a Kansas City-made gift to give this Valentine season, and we are always recommending our handmade KC Furnishing Co trays made in house. These trays assembled out of scrap pieces of cargo wood from all of our projects in our workshop. We love the idea of repurposing already repurposed wood. 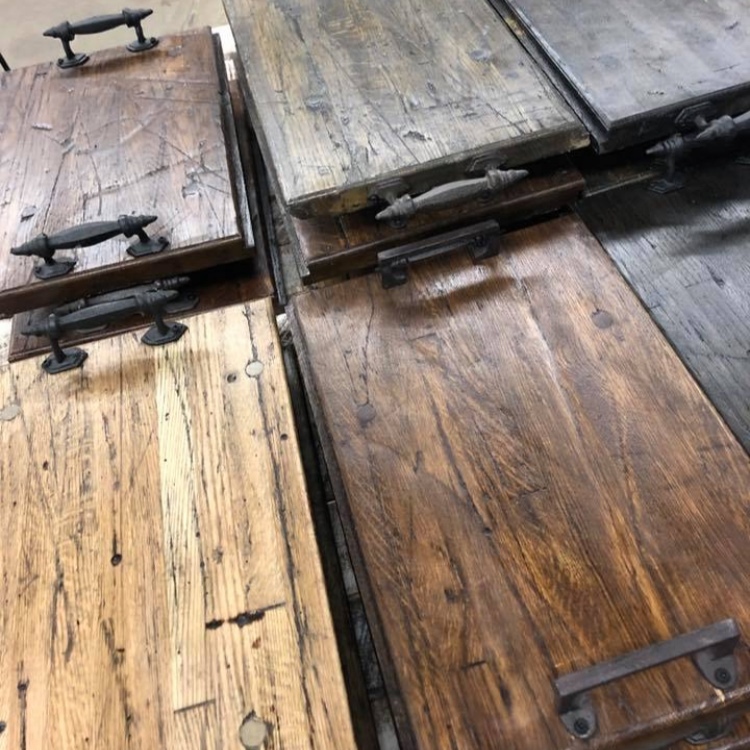 We have different handles and stains so you can always find a tray that is the perfect fit for any coffee, dining, or side table you have in your homes! If you are buying someone that loves getting to support fair-trade companies anything from Elevate is a good option for you. Our favorite new bag we are carrying in our store is the “Slingback”. This is the perfect purse if you are someone that needs a little extra space for a laptop, iPad, or even just notebooks. It is nice to be able to carry this bag around town with you wherever you might be going. Elevate purses only get better with age and ware making them a must-have accessory! Over the past few years, we have had many people tell us that they love receiving spring floral arrangements for their homes during the winter times to help bring life into their space. Why not getting a fun floral arrangement that will last all season long this Valentine’s Day instead of getting flowers that will only last a week? Come into the store, pick out a vase, decide on a theme, and we will help you build the perfect arrangement! It is a fun and meaningful project that will bring you lots of beautiful color to your homes. Price ranges from $20 and up. For a quick gift for any lady in your life, I always recommend a “Sweet Grace” candle because you can never go wrong with buying one. 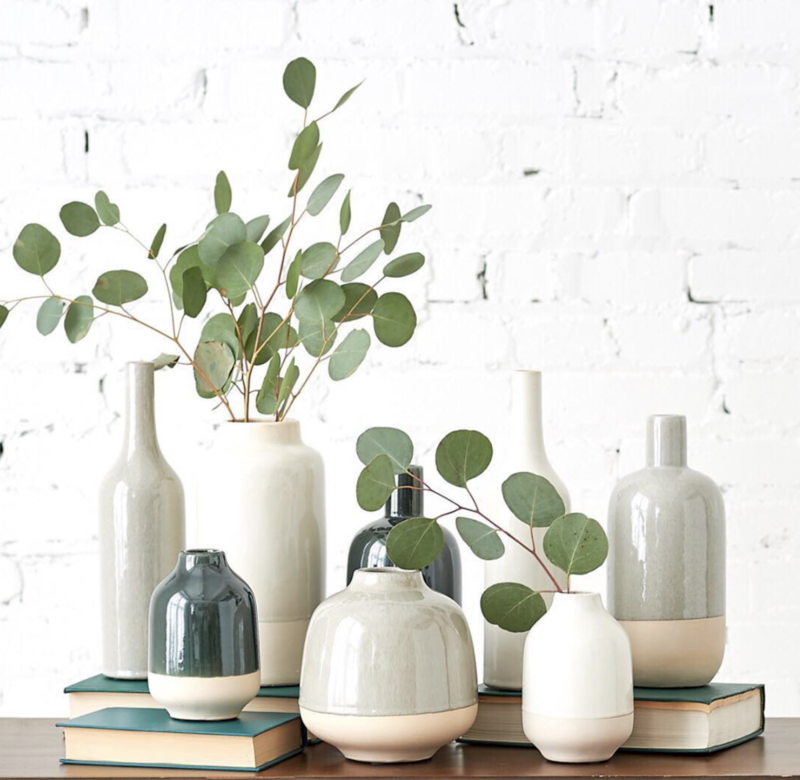 These candles can fill any space with a beautiful floral scent that always makes our customers ask the question, “What is that amazing smell?” The uniquely fun options of vases create a range in prices and sizes. These candles have a bonus to them because every single purchase provides three meals to a family in third world countries such as Haiti. If the fantastic smell and beautiful vases weren’t enough that fact alone always makes me recommend the sweet grace candle for any gift! The great thing about Magnolia Home Furniture and Accessories is that you can never really go wrong when trying to buy for a special someone in your life that is a fan of Joanna Gaines’ style. Joanna has done a great job as a designer to create something special for any home. For this Valentine’s Day be sure to stop by in our store to see anything from small mason jars to letter hangings that are perfect gifts to grab quickly! Prices range from $10 and up.